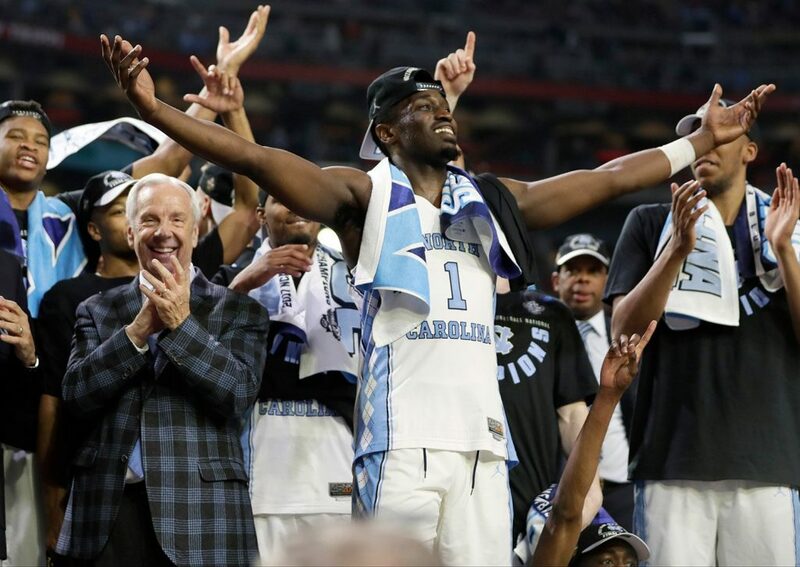 North Carolina's Theo Pinson celebrates with head coach Roy Williams and the rest of the Tar Heels after North Carolina's win over Gonzaga in the national championship game Monday night in Glendale, Ariz.
North Carolina players celebrate their national championship after their 71-65 win over Gonzaga on Monday night. 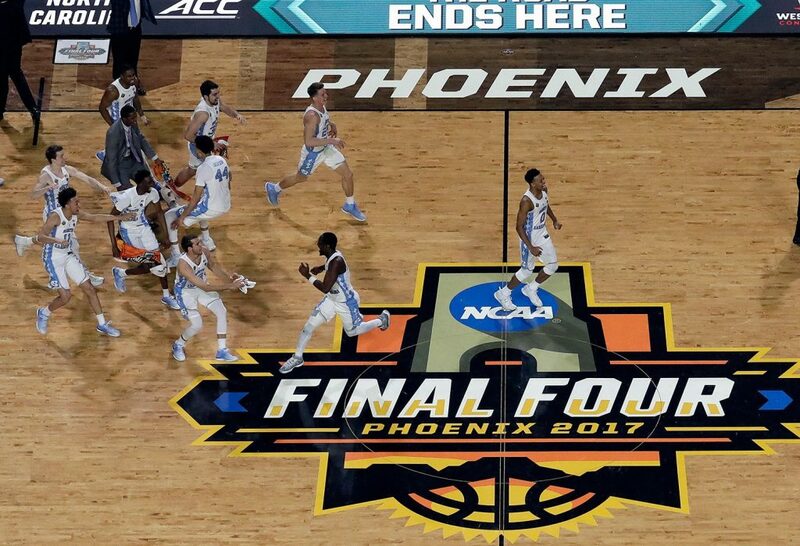 North Carolina players celebrate their 71-65 win over Gonzaga and a national championship. North Carolina's Joel Berry II celebrates a national championship, something that eluded the Tar Heels a year ago. 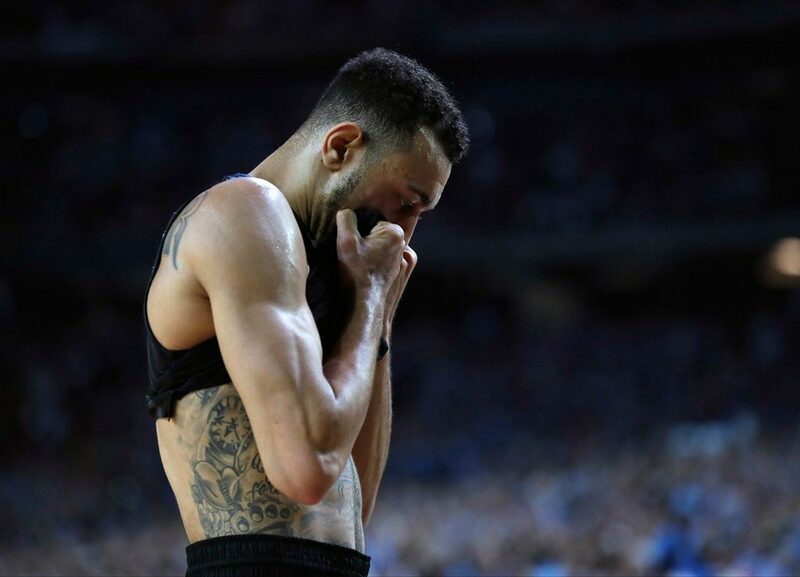 A dejected Nigel Williams-Goss walks off the court after Gonzaga's loss to North Carolina in the NCAA championship game. 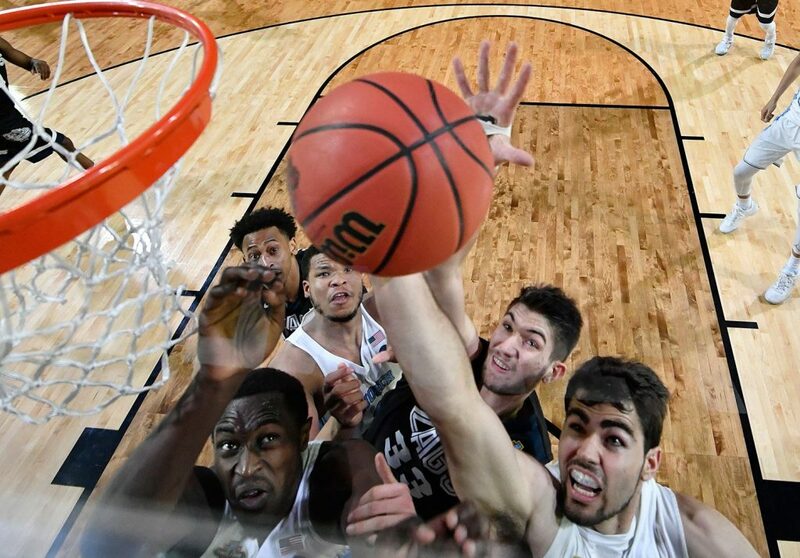 North Carolina's Luke Maye, right, and Gonzaga's Killian Tillie (33) battle for a rebound during the second half of Monday's hard-fought game. 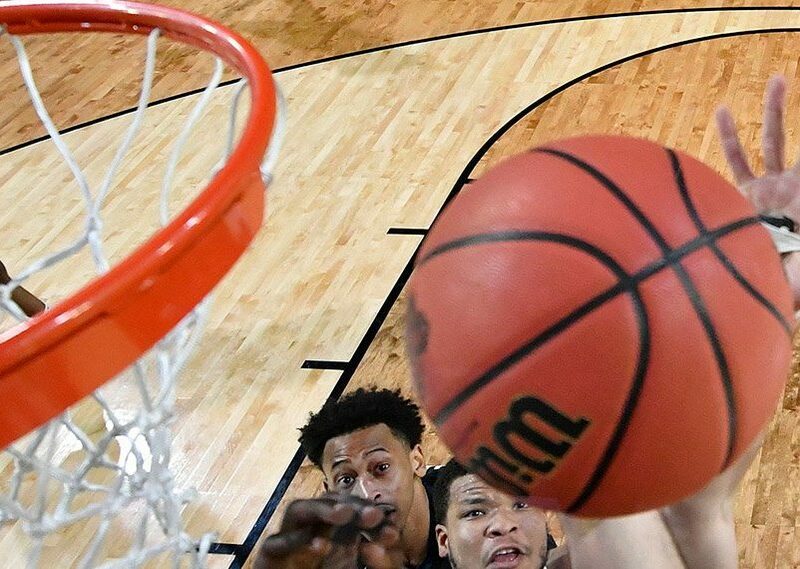 Gonzaga's Killian Tillie battles for a loose ball in the second half of Monday night's championship game. 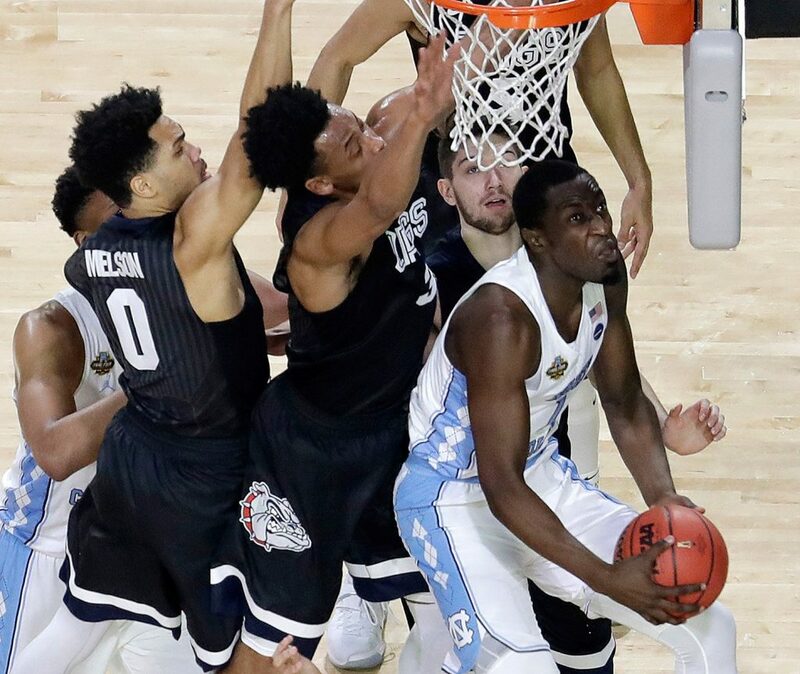 North Carolina's Theo Pinson goes up for a shot against Gonzaga's defense in the first half of Monday night's championship game in Glendale, Ariz.
Gonzaga players celebrate on the bench after a basket in the second half against North Carolina. 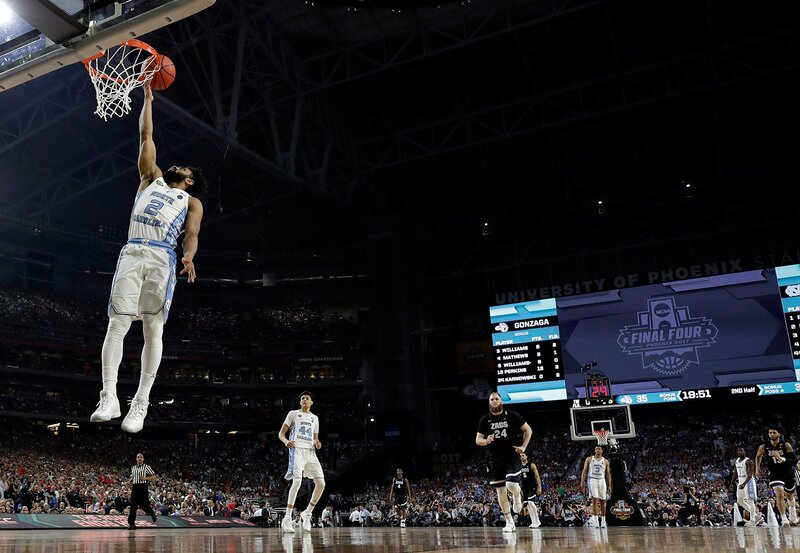 North Carolina's Joel Berry II goes up for a layup in the second half of Monday night's NCAA championship game. 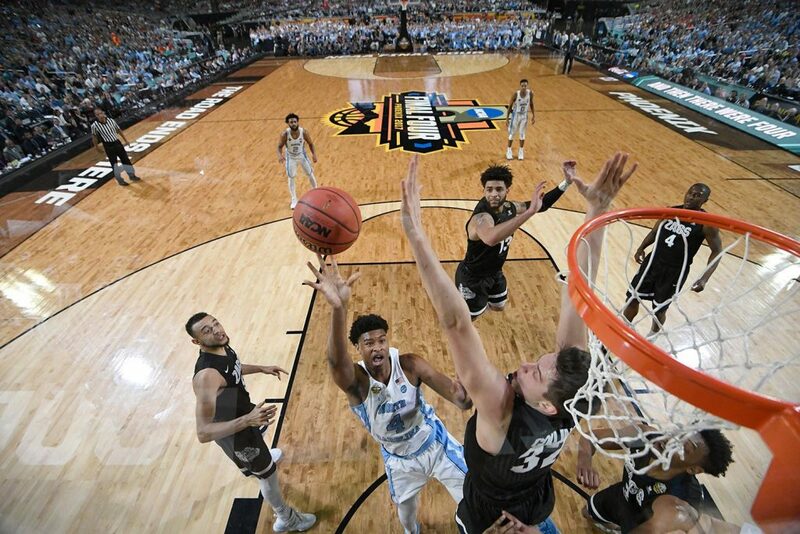 North Carolina's Isaiah Hicks takes a shot over Gonzaga's Zach Collins in the first half. 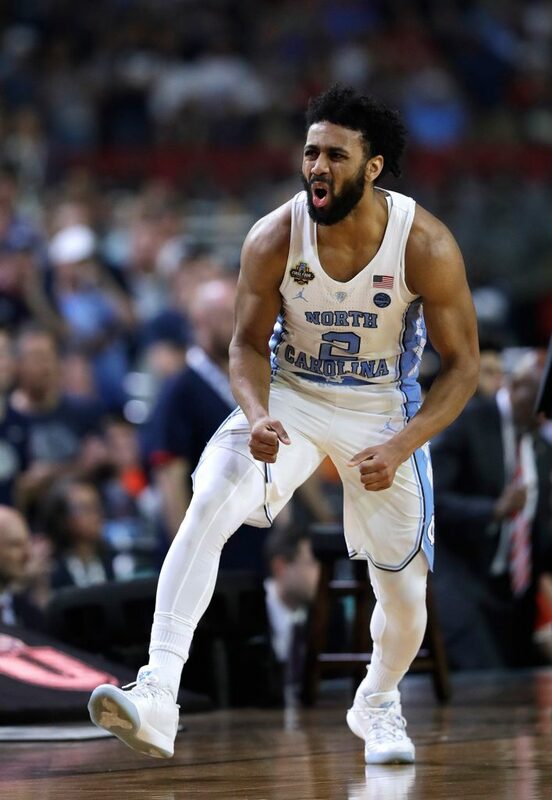 North Carolina guard Joel Berry II is pumped in the first half against Gonzaga. 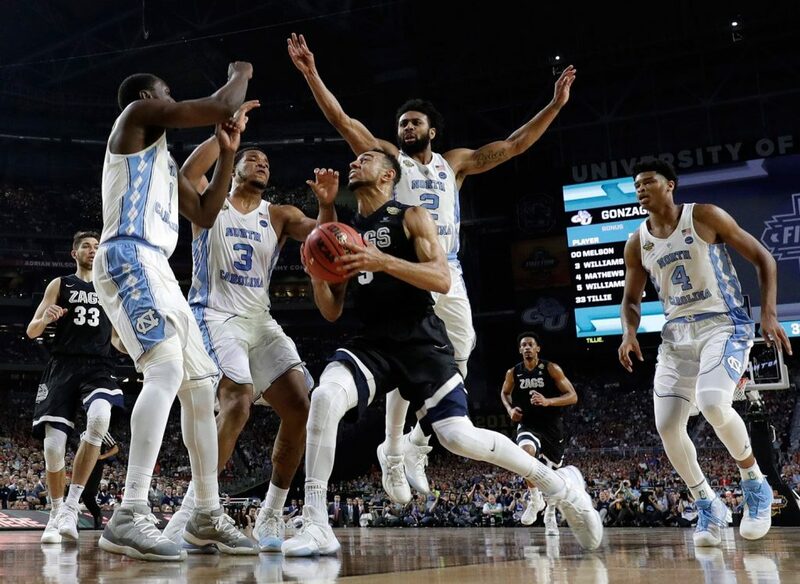 Gonzaga guard Nigel Williams-Goss drives to the basket past North Carolina defenders, from left, Theo Pinson, Kennedy Meeks, Joel Berry II and Isaiah Hicks in the first half. 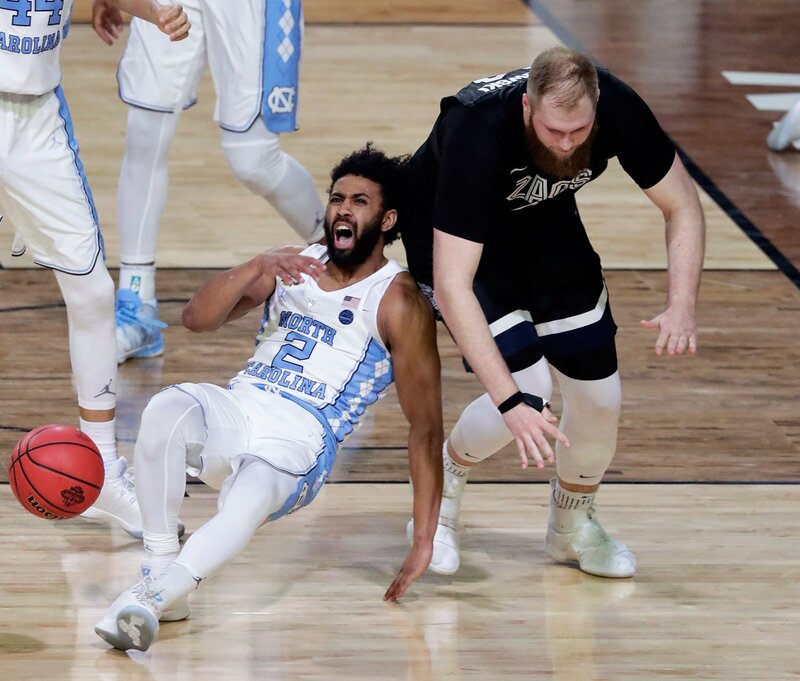 North Carolina guard Joel Berry II goes down hard after getting fouled by Gonzaga center Przemek Karnowski in the second half.